In the realm of objects, two things could not be more important to Allison and Eric: dessert and bicycles. A killer combination. The dinner featured endless home-baked sweets and jars of homemade jam were laid out for guests to take home. Simply delicious. 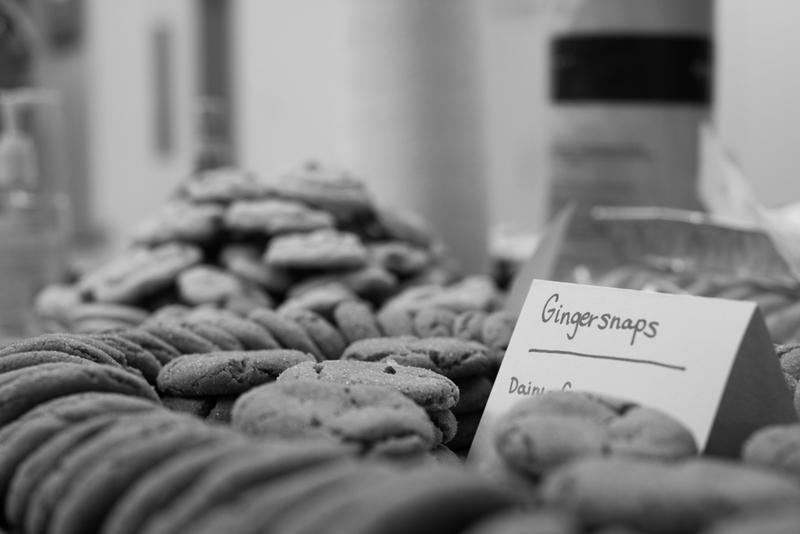 One of the many plates of cookies awaiting guests. 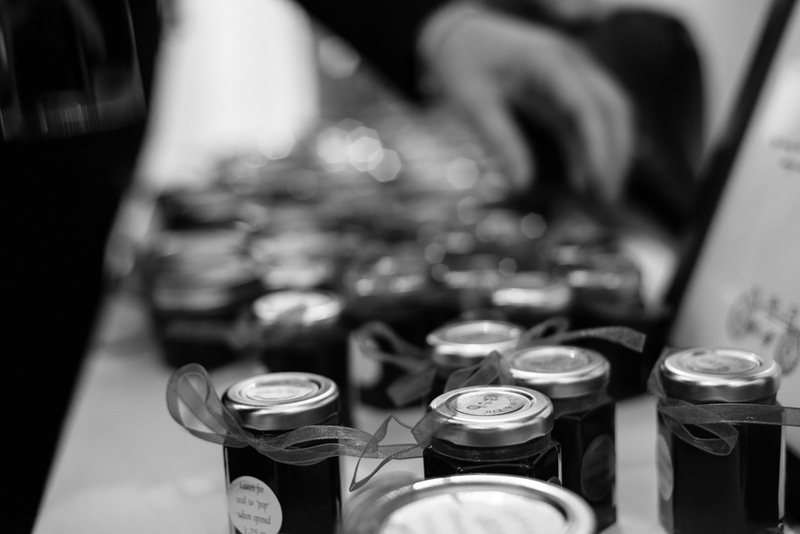 A field of homemade jam to take home. This wasn’t a gig, this was a family friend’s wedding in Massachusetts. 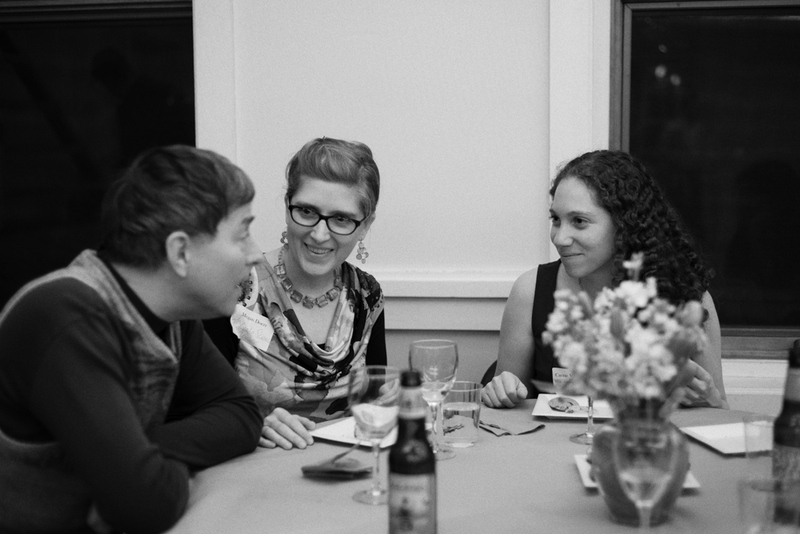 Well, it wasn’t a gig until I was asked to photograph the out-of-towners dinner the night before the big event. Luckily for all of us, I had just gotten my hands on my new camera, so I used it as a chance to take it for a spin. Here’s what I got. Friends from long and far gathering with the happy couple. 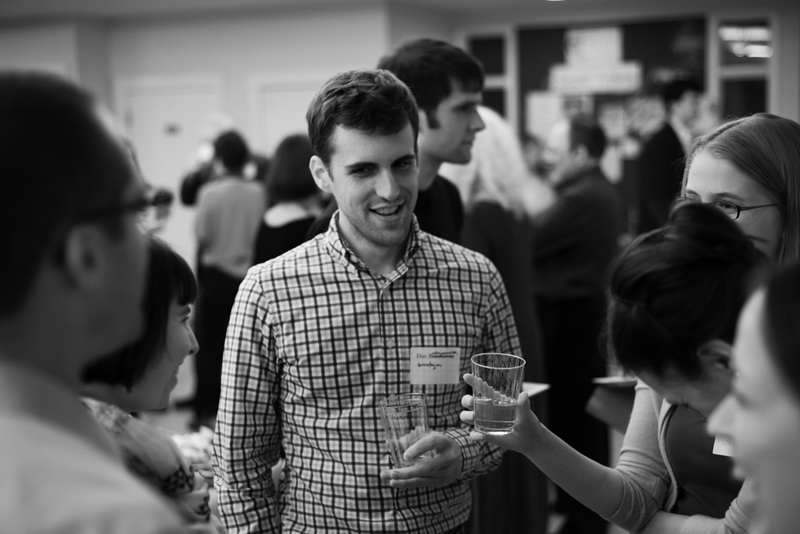 A speciality of the evening: not only friends from growing up but some teachers, too. 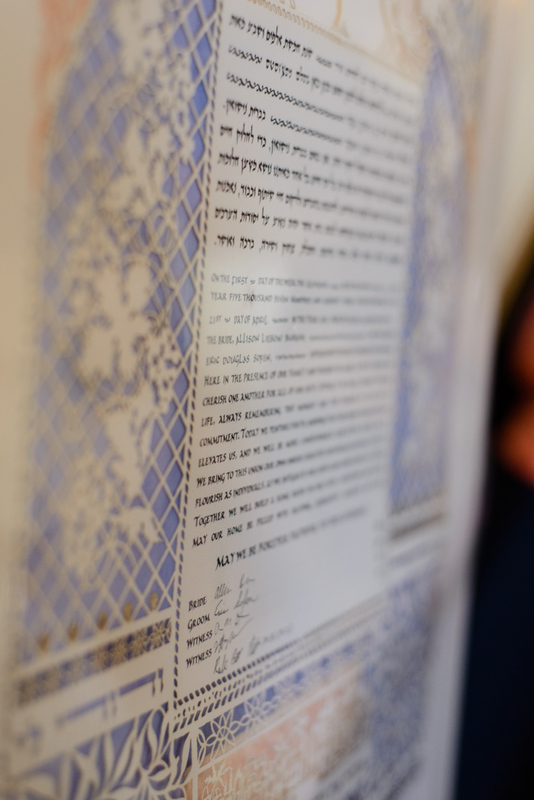 I tried to let the hired photographers do their job on Sunday and enjoy being a part of the celebrations, but I couldn’t resist photographing their gorgeous ketubah (wedding contract). And that is what I’ve got for this first round of wedding photography. Next up: Berlin. This entry was posted in hochzeiten/weddings and tagged black and white, hochzeit, ketubah, schwarzweiß, wedding on June 26, 2013 by AdamRoePhotography.